My love of hoarding can only be matched by my love of purging and while that might not make sense, it allows me to maintain a manageable quantity of skincare products where I get to try new things, have backups but I’m also using stuff up and not letting things just sit there going to waste. I love posting about my monthly empties as it’s a great way to keep track of (and also celebrate) the highly satisfying experience of using up a product all the way to the end. This month, for some reason, I don’t have that many empties but I suppose I had so many the last couple of months, it has sort of balanced itself out. Anyway, here’s a look at the products I finished up in July. Aqua (Water), Alcohol denat. *, Glycerin*, Rosa damascena flower oil*, Citronellol* (* Ingredients certified as organic by the Soil Association for use in cosmetic products). I picked this up for the first time in London at Boots (now it’s sold at Target, too) and I really liked it. For the price, it is an excellent toner with decent ingredients and I love that it’s organic, too. It has a nice, mild rose scent and I used it as my hydrating toner or as a skin refresher when my skin was feeling especially dry. I am really interested in trying more from the range and I think I am going to get the All Bright Cleansing Toner $7.59/£3.99 next. Repurchase? Yes, although I want to try the Heritage Store Rosewater $9.49 next. Water, Methyl Trimethicone, Squalane, Caprylic/Capric Triglyceride, Polysorbate 40, Cetyl Alcohol, Butylene Glycol, Dimethicone, Myristyl Alcohol, PEG-100 Stearate, Glycerin, Orange Peel Oil, Orange Flower Oil, Valerian Root Oil, Cinnamomum Cassia Lead Oil, Ferula Galbaniflua Resin Oil, Bitter Orange Peel Oil, Vanilla Fruit Extract, Orange Juice, Citral, Linalool, Limonene, Raspberry Leaf Wax, Fennel Seed Extract, Chestnut Seed Extract, Rosemary Leaf Extract, Coleus Barbatus Extract, Wheat Germ Extract, Barley Extract, Panthenol, Biotin, Folic Acid, Pantethine, Glyceryl Stearate, Tromethamine, Ethylhexylglycerin, Arginine, Caprylyl Glycol, Phytosterols, Cholesterol, Linoleic Acid, Palm Oil, Salicylic Acid, Tetrahexyldecyl Ascorbate, Squalene, Cetearyl Alcohol, Sodium PCA, Ceteareth-20, Sodium Hyaluronate, Phospholipids, Tocopheryl Acetate, Tocotrienols, Calcium Carbonate, Carbomer, Hexylene glycol, Tocopherol, Lecithin, Potassium Sorbate, Sodium Dehydroacetate, Phenoxyethanol. Despite how this brand is marketed, Origins is firmly in my 10% category because as you can see from the long ingredients list above, it is mostly synthetic. This is a great example of why you should always do your research when buying anything, especially skincare because the name of a brand/product or how it is packaged and marketed does not always translate to what it actually is. All that aside, I did like this product. It has a lovely, calming scent, a nice texture (probably due to the silicones, though) and my skin did look less dull in the morning but for the price and the ingredients, there are better resurfacing options out there. Aqua (Water), Ammonium Lauryl Sulfate, PEG-7 Glyceryl Cocoate, Acrylates Copolymer, Glycerin, Lauryl Betaine, Parfum (Frangrance), Oryza Sativa (Rice) Germ Powder, Propylene Glycol, PEG-40 Hydrogenated Castor Oil, Sodium Hydroxide, Disodium EDTA, Mentha Piperita (Peppermint) Extract, Lycium Chinese (Goji Berry) Fruit Extract, Triethylene Glycol, Benzyl Alcohol, Magnesium Nitrate, Methylchloroisothiazolinone, Magnesium Chloride, Methylisothiazolinone, Potassium Sorbate, Sodium Benzoate, Limonene, Linalool. I discovered this brand on my last trip to London and I thought the packaging was so cute! I loved the sound of the scent combinations and picked up a few items to bring home with me and try. This shower gel has a cool, refreshing scent but it also has a grainy texture (I’m guessing from the acrylates copolymer?) and I did not like that. 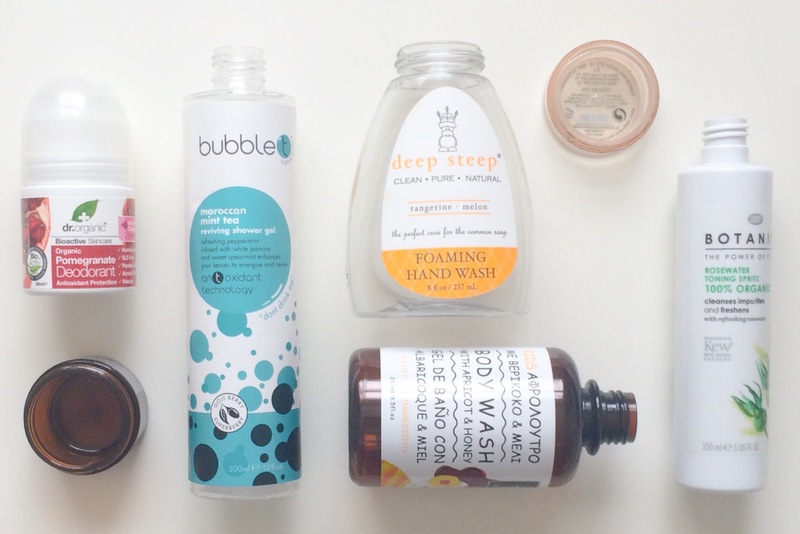 On the surface, Bubble T had great potential to be a favourite brand because I love the concept and that it’s paraben, SLS and SLES free but sadly, I am not a fan of the many other (potentially harmful) synthetic ingredients. Organic Aloe Barbadensis (Aloe Vera) Leaf Juice, Organic Citrus Tangerina (Tangerine) Fruit Extract, Cucumis Melo (Melon) Fruit Extract, Coco Glucoside, Glycerin (Vegan), Rice Protein, Aroma, Panthenol (Vitamin B5), Rosmarinus Officinalis (Rosemary) Leaf Extract, Citric Acid. 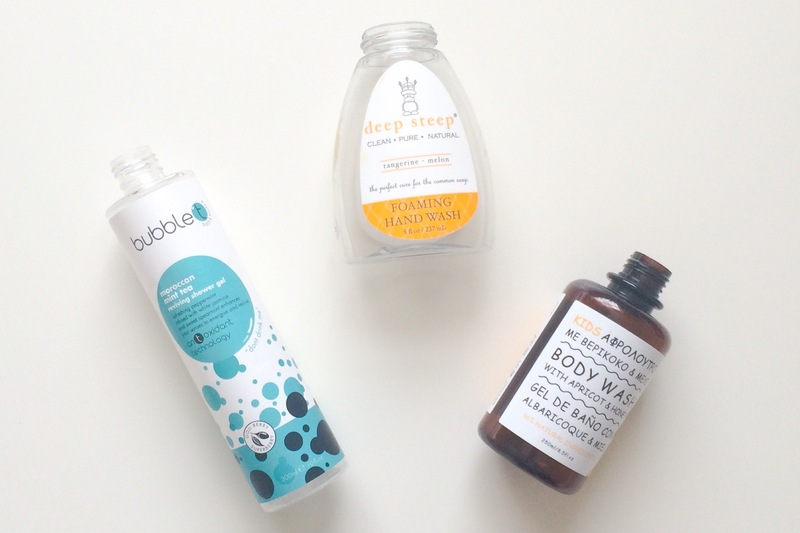 Deep Steep are probably my favourite bath and body brand and I use something from them every day. They have an extensive range of amazing products that all smell incredible and if you haven’t tried them before, you really should. This hand wash smells absolutely delicious and worked really well (as well as a hand wash can, haha!). The only problem I had was it seemed to run out in record time due to it being a foaming wash but other than that, I have no complaints about it. Repurchase? Maybe but I think I will move on to the liquid hand soaps. So, before you ask, I do not have children! This was a gift my sister got me from Hong Kong, simply because I love this type of scent! I had high hopes for this body wash because the ingredients are 90% naturally derived, it’s gluten free and the water is a calendula infusion, which I think is so innovative. Unfortunately, it didn’t smell very nice and despite the lack of SLS and SLES, I found it to be quite drying on the skin. Repurchase? No but I am interested in trying more from Apivita because them seem like a really interesting brand. Yet another product I picked up in London and another disappointment. 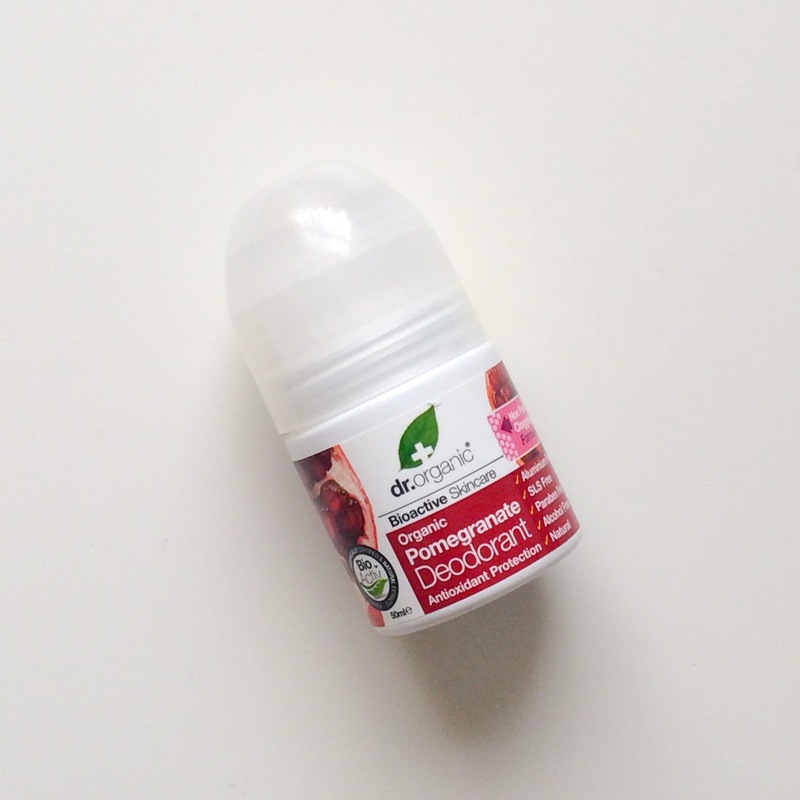 I bought this because I love their Snail Gel and read great reviews on Holland & Barrett about this deodorant but it did not work for me at all. I tried it several times and it left my underarms wet and sticky and I didn’t feel fresh or deodorized in anyway. It’s not even close to being finished but I am including this in my empties because I cannot use it so as painful as it is, this is headed for the trash. Bismuth Oxychloride, Mica, Iron Oxides, Zinc Oxide, Titanium Dioxide. I have used this on and off for so many years and it’s a foundation that I keep coming back to because it’s so easy to apply and it just works. It gives me light, even coverage and works well with my combination skin. This particular one has taken me a really long time to use up as I don’t wear makeup much at all (trying to make the switch to free-from brands and currently failing) and have only been using it on night’s out. I think it’s a great choice if you want a fuss free, quick, natural look, which is exactly what I like most of the time. I did recently get sent the new Complexion Rescue Tinted Hydrating Gel Cream $29/£26 to try and I’ve only used it a couple of times but so far, I really like it. Repurchase? Currently no, only because I am looking to try something similar from a green beauty brand. July’s empties definitely contained a lot of disappointments so I would love to hear your suggestions of better alternatives and anything you used up this month that you loved or even hated! Great post ! 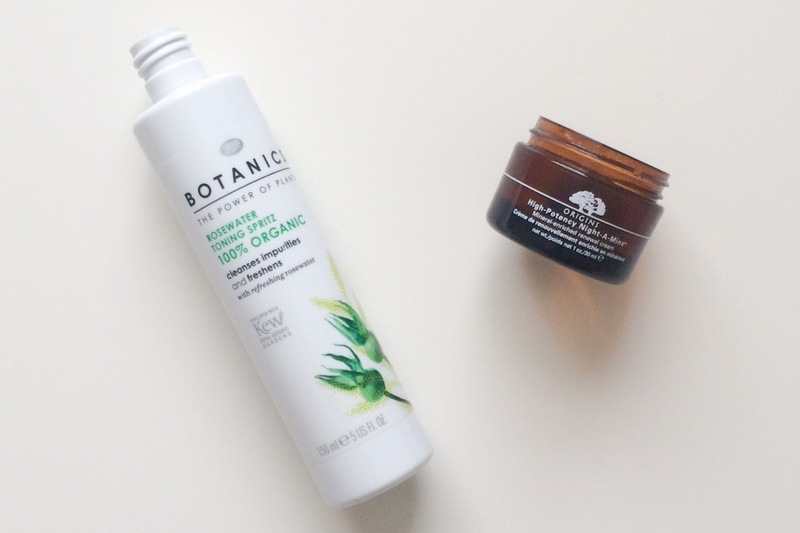 I love that Botanics Rose water Toning Spritz too, it’s so refreshing and I think it helps balance my skin. But I am curious about the high alcohol content, everything I’ve read about beauty products ingredients tells me to stay away from ones high in alcohol ! Would love to know your thoughts on this ? Hi Ruth! Thank you!!! ❤ Yes, I was concerned about the high alcohol content too because I do try to stay away from that when it comes to skincare but as it was not drying on my skin and I didn't have any bad reaction to it, I think in this type of product it should be fine. I don't think you should have too many products that contain alcohol because it will dry out your skin and cause micro damage but as this is the only thing I use with it, I didn't mind. Also, I asked them about this a long time ago and I think they said that when the product is dispersed the alcohol evaporates quickly and therefore should not end up staying on your face but I would have to find the email and confirm. Thank you Arly! That actually does make sense about the alcohol evaporating once it’s dispersed. Alcohol dries so quickly. I’ll be happier now to continue using it, it is such a lovely toner, especially for summer! That was a great idea to write to boots about their product, I think I’ll take inspiration from you on this and write to Nip and Fab about one of their products that is also high in alcohol ! I would be so interested in their response. All brightening toner from Boots organics. Thanks for bringing this to my attention. I keep forgetting to pick something up from Boots organics. So i shall buy this! You’re so welcome! Let me know what you think once you try it. I saw it’s currently half price at Boots right now!! !